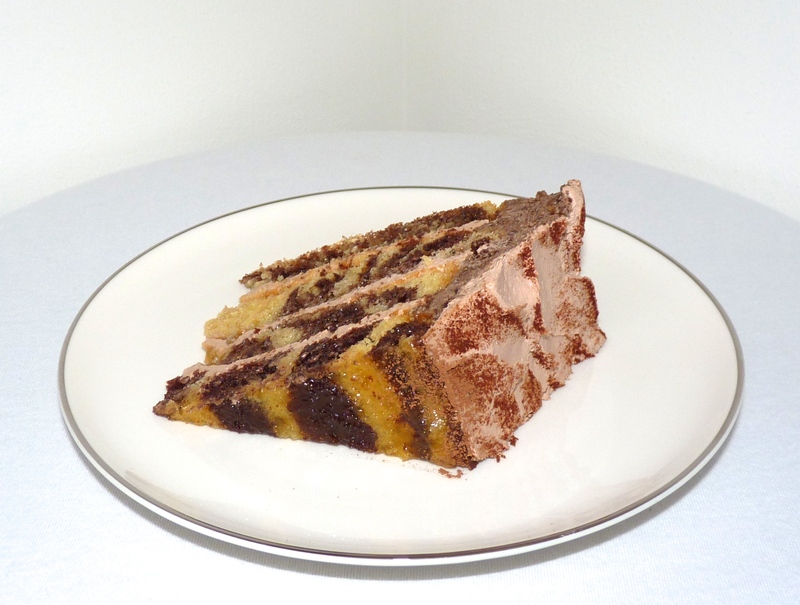 Introducing the Elena’s Kitchen Original Version “Rotten Stump Torte”. 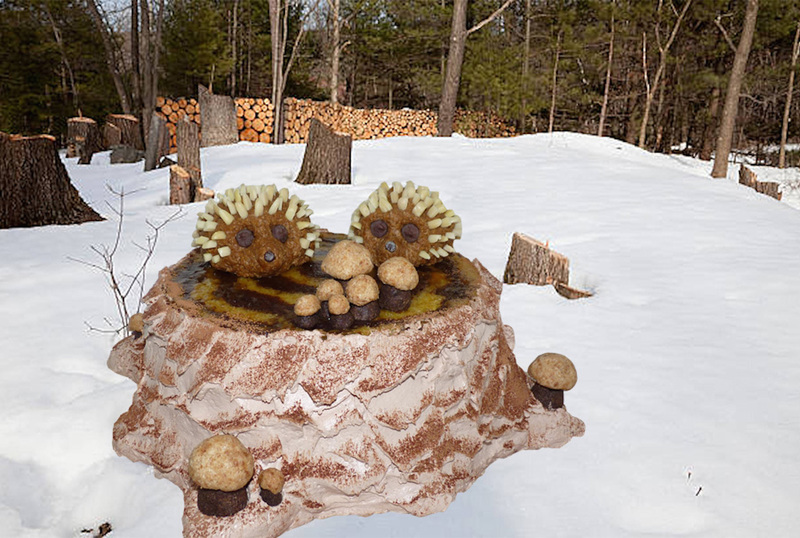 Four combination chocolate / vanilla layers, 2-9″ (bottom) and 2-8″ (top), over 5 and a half pounds, apricot glazed top, filled and surrounded with my custom chocolate Bavarian Cream with edible hedgehog and mushroom decorations. A great gift for any party. Please order at least a week in advance.